Prior to gathering outside of the mosque, the motorcyclists say they’ll meet in a nearby Denny’s parking lot, where they’ll have a “Muhammad cartoon contest.” They plan to take the images of Islam’s prophet to the Islamic Community Center at 6:15 that evening — a time when the Muslim community is expected to gather inside. The rally’s organizer, Jon Ritzheimer, has called on the group to “to utilize there [sic] second amendment right at this event just incase our first amendment comes under the much anticipated attack.” He warns on the event’s Facebookpage that the mosque is “a known place that the 2 terrorist [sic] frequented.” The would-be ambushers of Pamela Geller’s event in Garland are said to have worshiped there. As of Wednesday morning, 128 people had signed up to attend the Phoenix rally. Are there more taboos about pop culture or Islam? (CNN) It seems that every other week, a new incident takes place to remind us that there are many who will respond to critiques of Islam in a violently disagreeable manner. 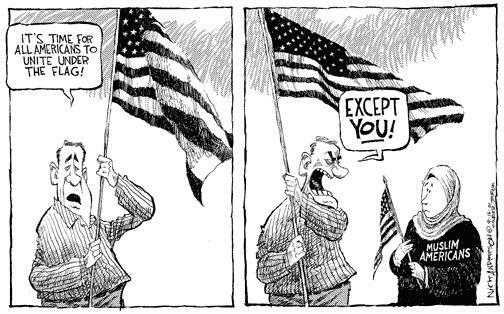 Rightly, our response is always to reject vigilante, criminal violence of all kinds — regardless of how affronted they feel. There are, at the same time, other taboos with regards to Islam in our societies in the West – with dramatically fewer consequences, but still concerning. On Saturday May 16, some of those fault lines showed themselves again: at a “National Security Action Summit,” Republican presidential hopefuls and others raised the fears of “civilizational jihad,” complaining about how “Christians can’t come into this country but Muslims can.” That wasn’t about radical Islamists like ISIS or al Qaeda-style ideology: but about Muslims en masse, and Islam as a religion. I recently ran afoul of that same sentiment, in a highly unexpected way. 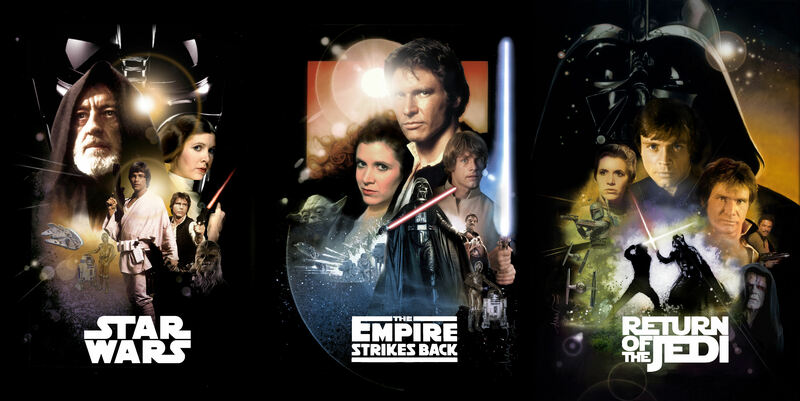 CNN recently published a satirical piece I wrote about the relationship between Star Wars and Islam, and whether there was more of a relationship between the two than Islam and ISIS. It was clearly a sardonic offering, just from the bio that preceded the piece (unless the description of me as a Jedi knight is to be taken seriously), let alone the rest of the piece. Tens of thousands of hits, and a translation for the Spanish version of CNN later, there was a plethora of reactions at this ironic piece looking at how easy — and incorrect — it was to ascribe to Islam and Muslims the extremism of a few. Much of that reaction was positive, with many sending messages privately and publicly about the humorous, while not mocking, engagement with a serious and delicate subject. But it was the negative responses that were particularly instructive. Unsurprisingly, some of those were ISIS supporters, who are not exactly known for appreciation of humor. But contrary to what one might expect, the most vitriolic opposition wasn’t from radical Islamists who couldn’t take a joke. 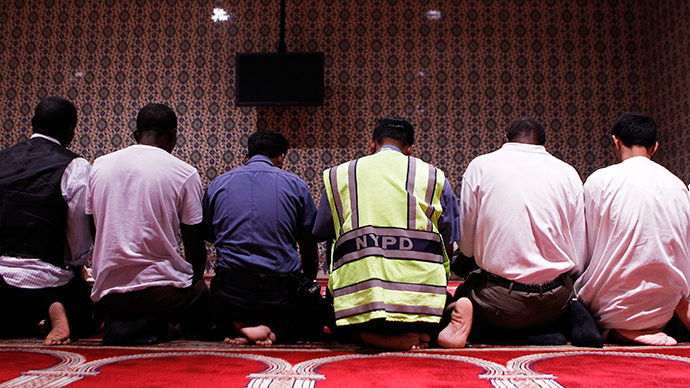 Islam is discussed in media, academia, and public life in a variety of ways, usually in relation to the “How Islamic is extremism” question. CAIRO – A Portland Muslim imam has made history by becoming the first Muslim to graduate from a Catholic university. “I was looking for a place to be accepted as myself and to be the true face of Islam, though I am not the best follower,” Abdullah Polovina, who leads a congregation of Bosnian Muslims in Portland, told The Oregonian on Monday. The imam, 41, has recently completed a master’s degree at Seattle University’s School of Theology and Ministry, where he was the first Muslim to ever enroll. 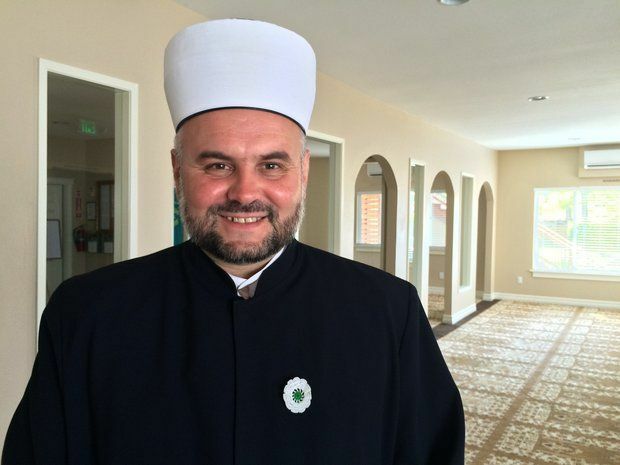 Taking the position of the leader of Bosniaks Educational and Cultural Organization, he first connected with leaders at Seattle University through interfaith-dialogue events.For more than a decade, Polovina lived in Seattle as an imam before moving to Portland in 2013. Holding education at a high position, Polovina said he wanted to pursue a graduate degree that would improve his leadership, finding Seattle’s transformation leadership program appealing. For him, studying the Bible was not comfortable at the beginning. Later, he quickly settled into sharing his own perspective and appreciating the overlaps. During the class, he proved many similarities between Islam and Christianity from moral values to key historical figures. “I felt at home,” Polovina, an immigrant from the former Yugoslavia, said. Following the news that a non-Muslim American who threatened to burn down a mosque was released on bail, double standards seem to be at play in the US, Paul Salahuddin Armstrong, Co-Director of the Association of British Muslims told RT’s In the Now. RT: Why the silence, because the man is Christian? Is it that simple? Paul Salahuddin Armstrong: It certainly looks that way, doesn’t it? What is the other explanation? You’ve also got Timothy McVeigh, who was the Oklahoma bomber. Yet, there wasn’t so much emphasis placed on him. Then of course you’ve got (Anders Behring) Breivik in Norway and look at what he did. The press was very slow to call him a terrorist. Then you’ve got the Lufthansa pilot who took a plane into a mountain and killed everybody on board. And it was just put down to him being suicidal and having psychological issues. But those wouldn’t be taken into account if he was a Muslim. Yes, it does certainly seem like there is a prejudice in our culture against Muslims when it comes to the law and how the law deals with them, and it doesn’t help with community relations. A former right-wing Congressional candidate from Tennessee has admitted to plotting a horrific massacre to destroy the Muslim enclave of Islamberg in Upstate New York. 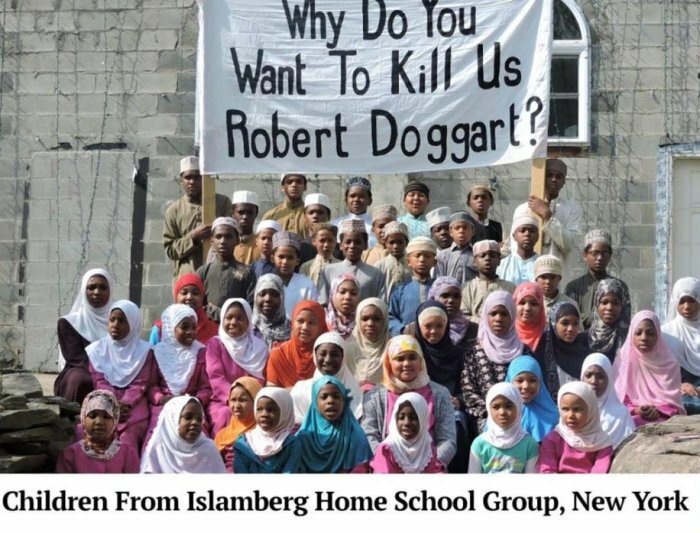 According to Daily Mail, 63-yr-old Robert Doggart, from a town outside Chattanooga, believed that the residents of the 100-strong Islamic community were training to carry out a massive terrorist attack on US soil. The FBI says Doggart was planning to firebomb and burn down the mosque, school and other buildings in the town and to use an assault rifle, pistol and even a machete to kill anyone who resisted him, according to an investigation that began early this year. According to the Chattanooga Times Free Press, Doggart ran for Tennessee’s Fourth Congressional district seat in 2014 as a conservative independent. He preached ‘the protection of the American people, land, and our form of government by the professional military establishment’ and received about six percent of the vote. He faces five years in prison and was released on $30,000 bail after pleading guilty to a single count of interstate communication of threats. Then there is Ayaan Hirsi Ali. The Somali-born author, atheist and ex-Muslim has a new book called Heretic: Why Islam Needs a Reformation Now. She’s been popping up in TV studios and on op-ed pages to urge Muslims, both liberal and conservative, to abandon some of their core religious beliefs while uniting behind a Muslim Luther. Whether or not mainstream Muslims will respond positively to a call for reform from a woman who has described their faith as a “destructive, nihilistic cult of death” that should be “crushed”, and suggested Benjamin Netanyahu be given the Nobel peace prize, is another matter. This narrative isn’t new. The New York Times’s celebrity columnist Thomas Friedman called for an Islamic reformation back in 2002; US academics Charles Kurzer and Michaelle Browers traced the origins of this “Reformation analogy” to the early 20th century, noting that “conservative journalists have been as eager as liberal academics to search for Muslim Luthers”. Apparently anyone who wants to win the war against violent extremism and save the soul of Islam, not to mention transform a stagnant Middle East, should be in favour of this process. 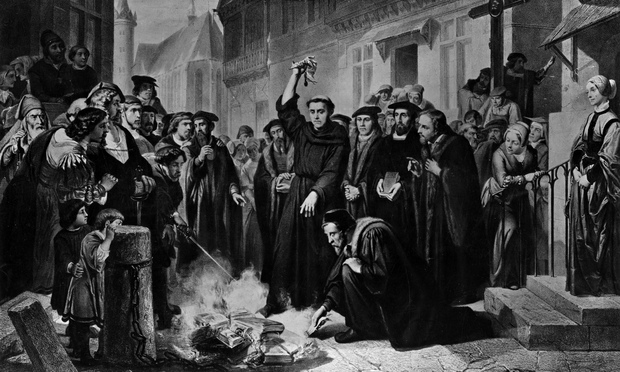 After all, Christianity had the Reformation, so goes the argument, which was followed by the Enlightenment; by secularism, liberalism and modern European democracy. So why can’t Islam do the same? And shouldn’t the west be offering to help?